Mexican drug cartels buying weapons from around the world: Far easier than running the border with a load	Chemtrails and Monsanto’s New Aluminum Resistance Gene – Coincidence? Over the last one hundred and fifty years, the international bankers have only failed to do one thing, and that’s cover their tracks. The evidence of their covert control of nations is scattered all over the world, and now, they openly brag about it. While they systematically gained control of nation’s governments through their manipulative currency and commodity control, then wars and inflation, we watched like a sheep about to be sheared, or a cow to be milked. Soon you will see people stand hypnotized like a rodent about to be struck by a cobra. In the interim, the people keep on voting the scumbag politicians into positions of power, and they keep on passing laws that rob us of our freedom, property, and future. So keep on voting for your favorite savior to do the bidding of their masters, and keep on hating and cursing the other party members. You deserve everything you’re going to get, and I’ll be writing about the great rodents roast. 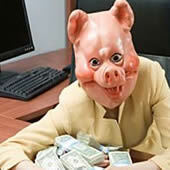 The bankers must surely have found some way to protect their ribs from breaking, due to their uncontrollable laughter. I can just picture them in my mind, rolling on the floor, screaming with glee.